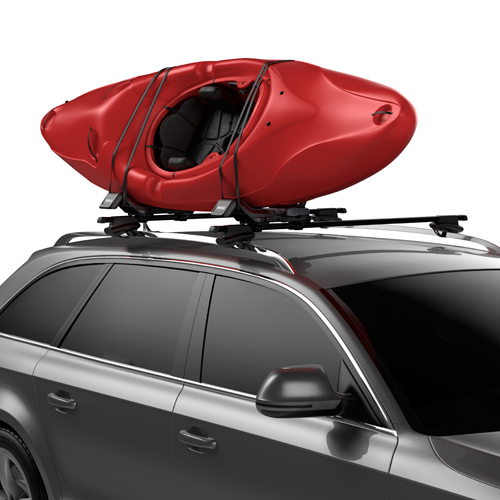 Thule's Hull-a-port Aero 849000 is one Thule's most invnovative folding J-style kayak carrier with a stylish, safe and easy to use design that integrates seamlessly with Thule roof rack systems. 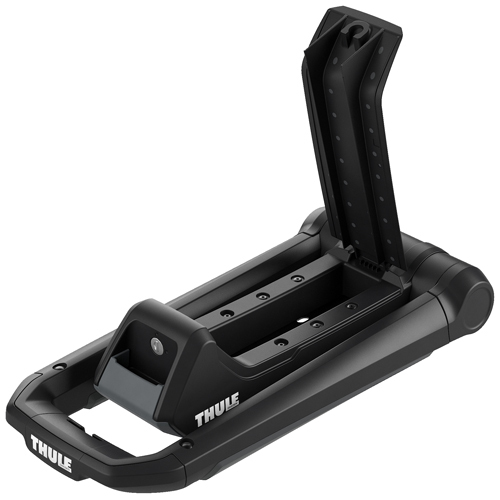 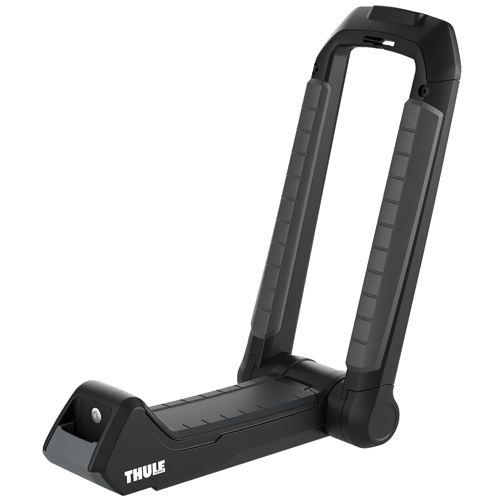 The Thule 849000 Hull-a-port Aero intuitive design installs tool free, quick and easy into the Thule WingBar and AeroBlade T-Track and fits Thule SquareBar with adapter (sold separately). 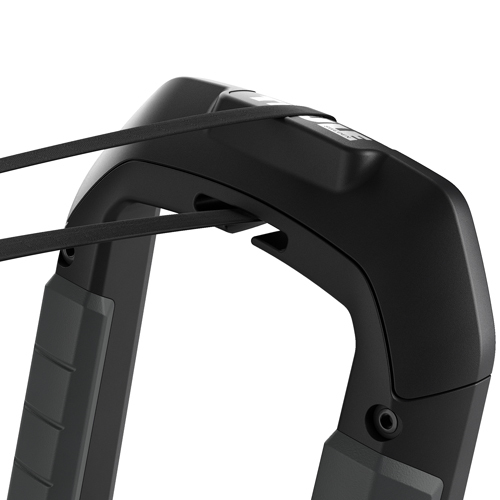 The Hull-a-port Aero has the ability to lock to your crossbars (locks included). 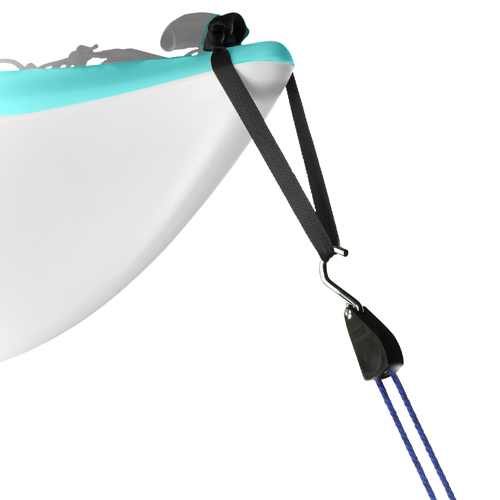 The 849000 Hull-a-port Aero works with a variety of different style kayaks from white water and recreational kayaks to sea and touring kayaks. 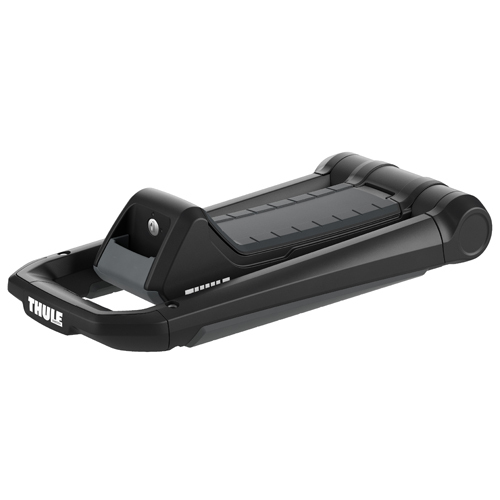 The 849000 Hull-a-port Aero can be folded into a flat position when not in use allowing for better access into low clearance areas (garages). 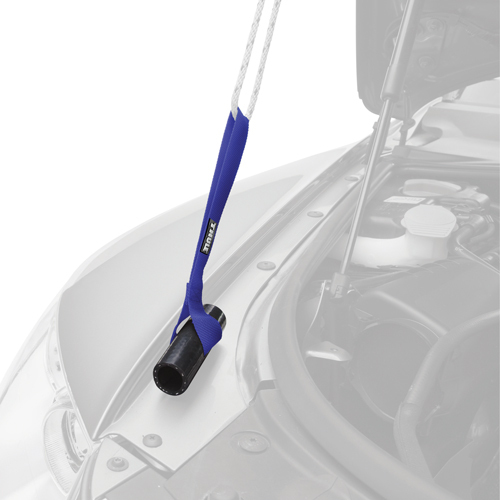 The Hull-a-port Aero upright can quickly raise or fold when not in use by using a convenient front release handle. 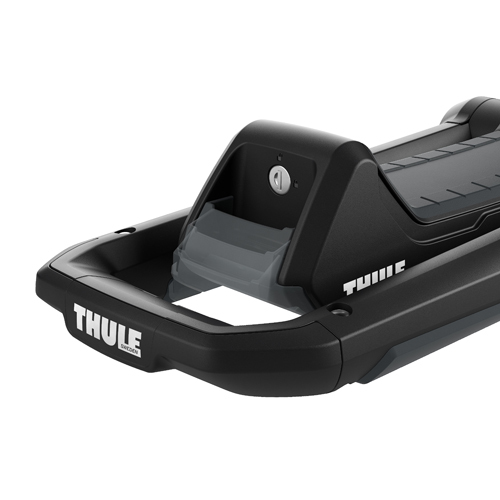 The Thule Hull-a-port Aero kayak carrier includes locks to help prevent theft of the kayak carrier locking the cradles to your load bars. 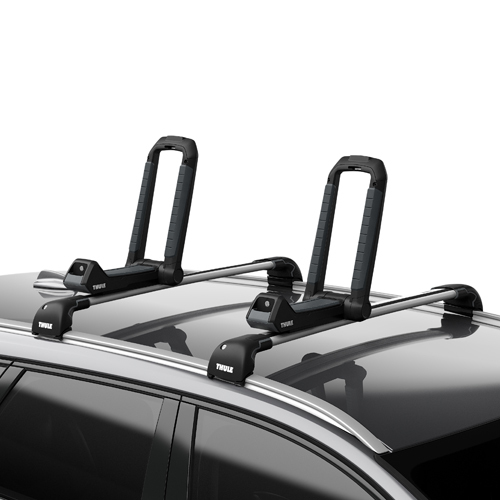 The Thule Hull-a-port Aero allows for easy managing of the load straps with its new integrated StrapCatch. 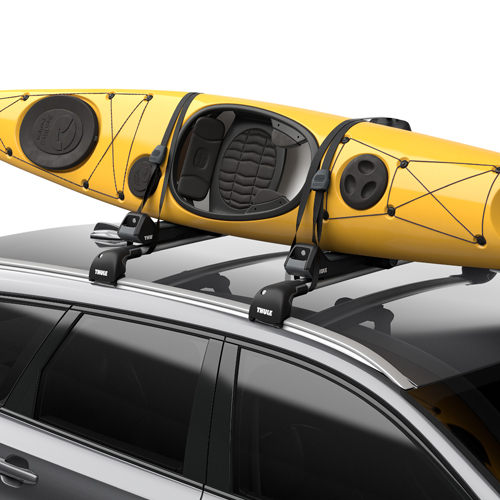 One pair of tie down straps and one pair of bow and stern tie downs are included to securely fasten 1 kayak to your vehicle. 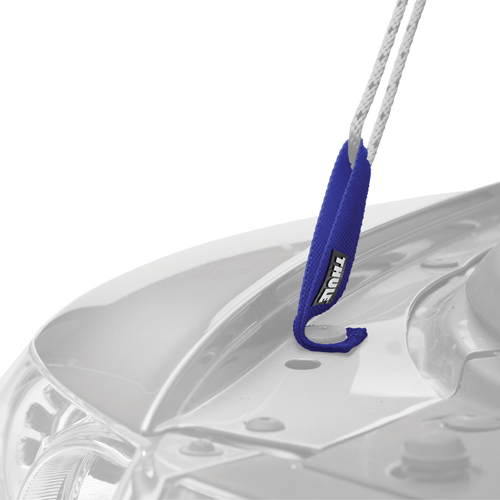 If your vehicle lacks front and rear anchor points for the bow and stern lines, we recommend using the Thule 529 Hood Loop or the Thule 530 Quick Loop (sold separately - see below).